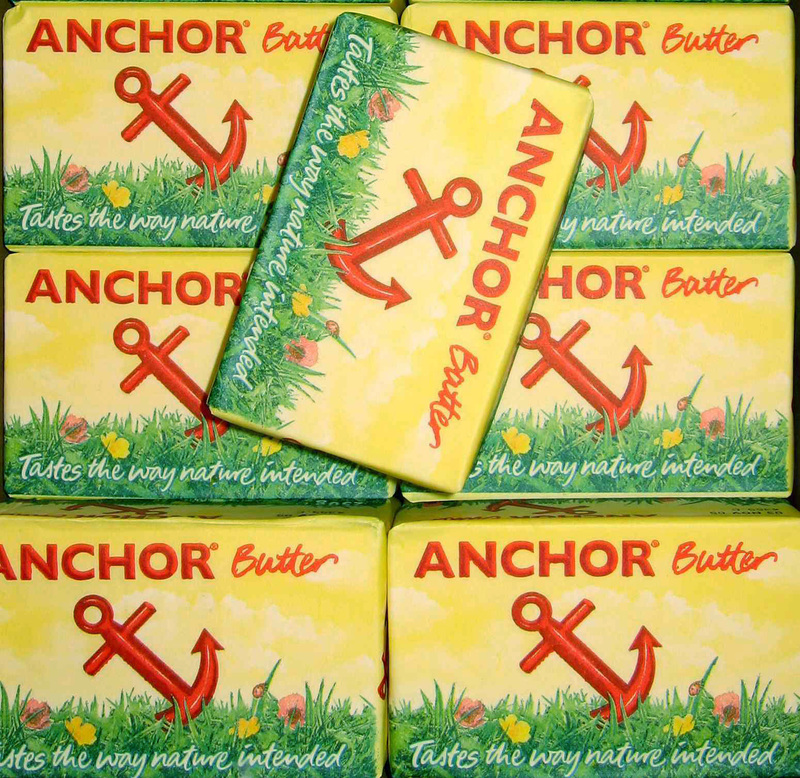 The Anchor brand was born in 1886 in a dairy factory at Pukekura, created by Henry Reynolds who arrived from Cornwall in 1868. By the 1880s he was dairy farming in the Waikato and established a small dairy factory. The brand name was allegedly inspired by a tattoo on the arm of one of his workers. It has become one of this country’s longest-lived and best-known trademarks – for cheese, dried milk and yoghurt products, and even at one point dried fruit and baking powder – as well as the famous butter. A highly innovative and efficient approach, based on farmer-owned co-operative companies, enabled dairying to grow into New Zealand’s most important industry. The production of butter and cheese flourished and by 1920, there were 600 dairy processing factories throughout New Zealand of which approximately 85% were co-operative-based. The milk brands from the New Zealand Dairy Group, the original long term holders, is now owned by Fonterra, which owns, well- just about every brand that Goodman Fielder doesn’t have, it seems. So it’s fitting that GF own the butter and cheese brands. 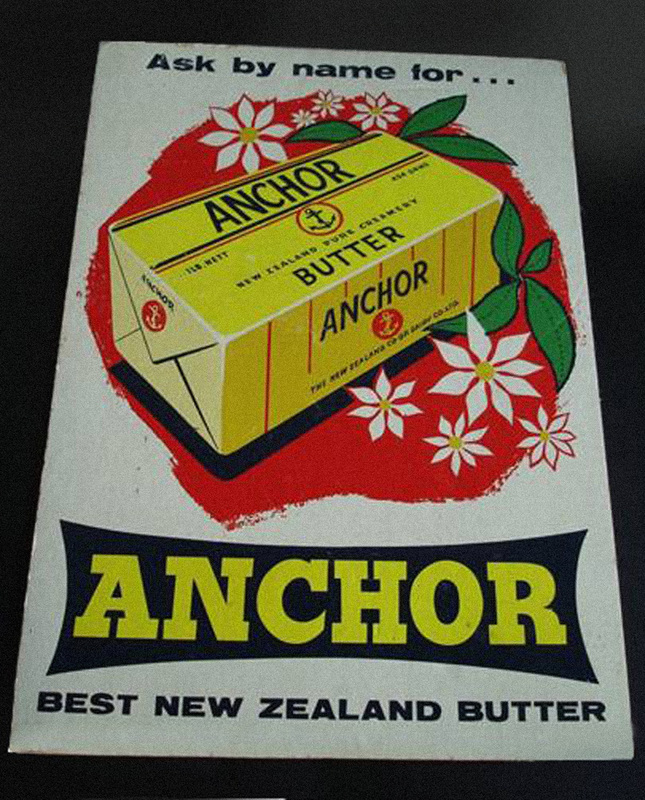 Ah, butter and cheese….Fonterra and Goodman Fielder. You know what they say about the lesser of two evils. Two of these cardboard point-of-sale posters were listed on Trademe last week and I’ve recreated it from a low res snapshot. I love the strong, clean graphics and bright colours. 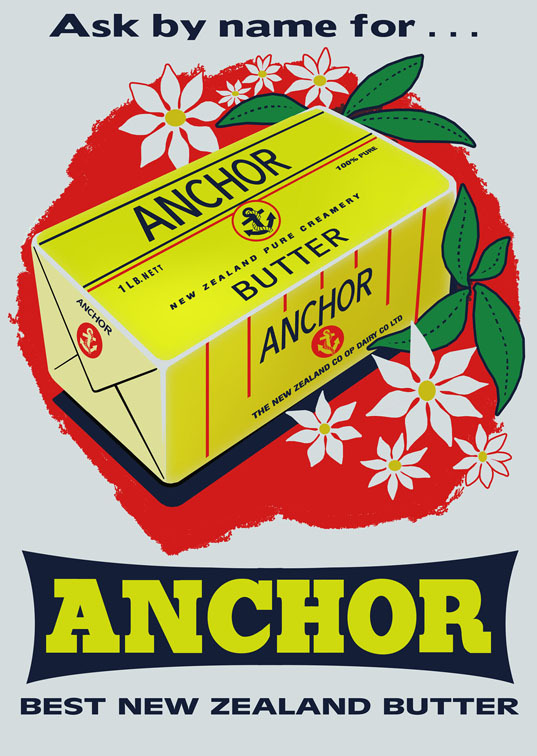 Anchor is yet another iconic New Zealand brand with a large story which I will no doubt take up again at a later date.